Hilde Cannoodt is a dance specialist with 15 years’ experience as a professional performer, dance teacher and choreographer. Highly skilled in her field, her specialist skills include Choreological Practice, Belly Dancing Technique, Contemporary Dance Technique, Choreographic Practice and Dance Instructing. 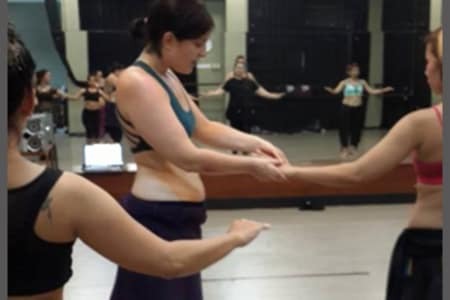 Offering Fusion Belly Dance classes and private lessons in London, Hilde’s dance training includes hip hop, Popping, Locking, ATS, Contemporary Dance, West African Dance, Tribal Fusion, Classical Indian Dance, Egyptian Dance, Rwandan Dance, ballet and Jazz. Hilde Cannoodt also takes part in workshops across London. Hilde Dancer is not currently an approved Obby partner. For the full list of our Dance classes please click here. If you are Hilde Dancer and would like to become an approved Obby partner, please click here.